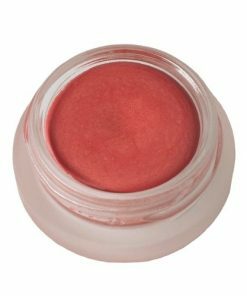 Wrap your lips in shimmery satin and pastel-pretty-in-pink luster – for a perfectly prima pout! Our Ballet Slipper Lip Shimmer shimmies across lustrous lips with beautiful infusions of moisture-rich, wholesome jojoba, magnificent mica, soothing stone root, happy beeswax, and pure essential oils that dance to the sweet tune of a garden in bloom: tuberose, jasmine sambac, carnation, ylang, golden champa and Royal Hawaiian sandalwood. 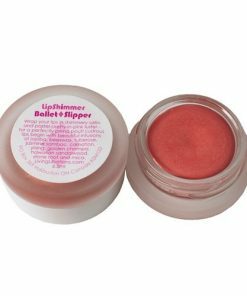 Living Libations Ballet Slipper Lip Shimmer embraces lustrous lips with the moisturizing essence of shimmering satin and the subtle sparkle of a prima ballerina’s pink satiny slippers. This silky-smooth lip shimmer is brimming with fountains of flowers– so you can be transported to a pastel-pink paradise every time you apply! Jojoba (Simmondsia Chinensis) – Wholesome jojoba drenches lips in luscious lipids and unlimited moisture. Packed with every absorbable form of Vitamin E, pure jojoba is nature’s closest approximation to human sebum. 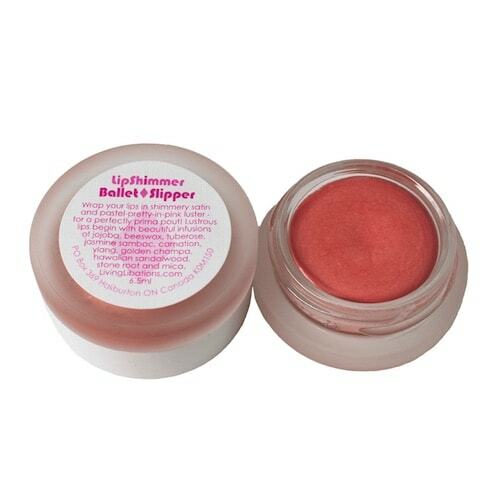 This allows it to sink deeply into thirsty lips, moisturizing from the inside out. Happy Beeswax (Cera Alba) – Beeswax provides a nourishing, porous layer of protection upon lips, locking in moisture while still allowing lips to respire. Royal Hawaiian Sandalwood (Santalum Freycinetianum) – Ethically harvested as part of a Hawaiian reforestation project, our Royal Hawaiian Sandalwood drenches your lips in serene moisture. This type of sandalwood is captured from Hawaiian sandalwood trees that have reached the end of their life cycle – naturally. The resulting oil is rich with life and island energy, Hawaiian Sandalwood is a superior aphrodisiac and meditation aid – anoint your lips with an invigorating essence known to lift the spirits. Tuberose (Polianthes Tuberosa) – This ancient aroma has been used for thousands of years to see beyond the physical world. Tuberose paints your pout with a touch of the sacred, a perfumed elixir used by the Mayans during meditation and ceremonies. Jasmine Sambac (Jasminum Sambac) – Gentle jasmine is used to inspire positive thoughts, enhance the mood, stimulate the senses and invite feelings of love and romance. This aromatic aphrodisiac is soothing and sultry. Carnation (Dianthus Caryophyllus) – Kiss thirsty lips with the calming caress of carnation – a fragrant floral that transports and awakens the senses. The honeyed scent of carnation is said to boost the mood, ease anxiety, and help you dance to the beat of your own drummer. Ylang Ylang (Cananga Odorata)– Ylang ylang flowers open their petals to the sparkling night sky, drinking in starlight like sweet coconut milk. The dreamy essence of ylang ylang protects lips from speaking words of negativity, anger or fear. Golden Champa (Magnolia Champaca) – Infuse your senses with this delectable floral essence. Golden Champa inspires jaw-dropping devotion to nature, the Divine, and the Self. Stone Root (Collinsonia Canadensis) – Reveal your true colors to the world with a smattering of stone root! 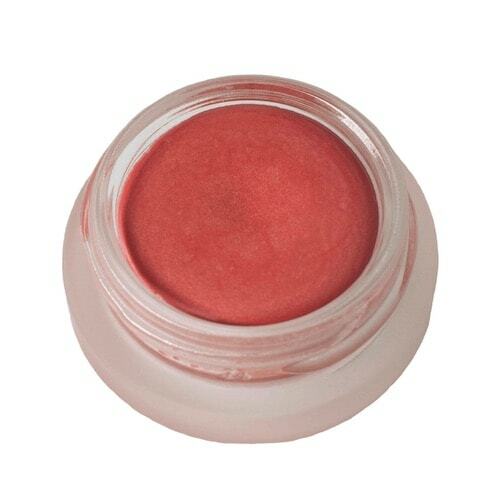 This soothing extract loves lips and adds antioxidants to the mix. Mica (phyllosilicate Minerals) – Sparkle like the star you are! Mica is made with crushed gemstones that reflect stage light, natural light, and the flashing bulbs of the paparazzi. Point your toes and smile for the cameras as crystallized mica minerals exude your inner – and outer – luminescence.